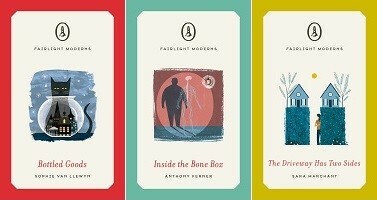 Fairlight Books launches next month Fairlight Moderns, a novellas series. In the words of Fairlight ceo Louise Boland, the series consists of "beautifully designed, pocket-sized, quality new fiction from around the world". There are five launch titles, each £7.99 in paperback. Nicholas Anderton is a highly respected neurosurgeon at the top of his field. But behind the successful facade all is not well. One day, during a school field trip, Pepper is kidnapped by a stranger and driven to rural Arkansas. The man, who calls himself "Uncle Dan", claims that Pepper's mother has died and they are to live together from now on - but Pepper isn't convinced. Travelling back to her home town on New Zealand South Island with her young son, Sarah is ready to face up to what she ran away from 10 years ago. Further titles will follow later this year. Louise Boland set up Fairlight Books in Oxford in 2017. She was previously managing director and co-founder of retail energy supplier Opus Energy. 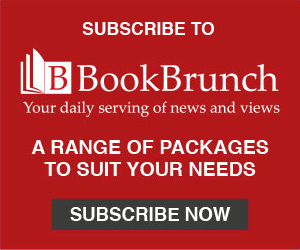 The Fairlight website says of her career change: "Seeing friends struggling to find good reads from under a deluge of 'buy-me' photo-fit e-novels, and seeing writer friends struggling to find homes for quality fiction, she decided to set up Fairlight Books to help reconnect readers with quality fiction."